Amit Bhagat is a recognized industry thought leader, speaker and management consultant with a passion for applying advanced data analytics and change management strategies to solve the most pressing and persistent challenges in healthcare. Amit’s expertise lies at the intersection of data analytics and operations to improve organizational performance, create new operating models, help implement large organizational transformations, and develop new ways of improving profitability and growth. 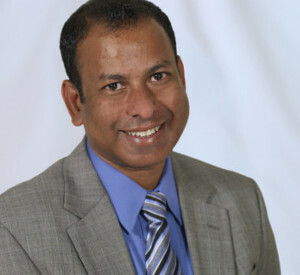 Amit has twenty-plus years of experience in helping clients succeed by developing information management, governance, business intelligence, advanced analytics, organizational design and performance management strategies and solutions. In an era of increasing change, Amit has worked extensively with clients in healthcare organizations to develop and implement growth strategies as well as drive measurable improvement in their operational performance by combining complex and innovative information-based technology solutions, culture, people and processes, all working in concert. As CEO of Amitech, Amit leads the firm’s client facing strategy and business development, and enjoys working with client executives in an advisory capacity to solve complex problems facing today’s healthcare industry. Amit holds a Master of Business Administration with a concentration in Finance and Strategy from Washington University in St. Louis, Olin School of Business, and a Bachelor of Engineering in Electrical and Electronics Engineering from the Birla Institute of Technology, India.